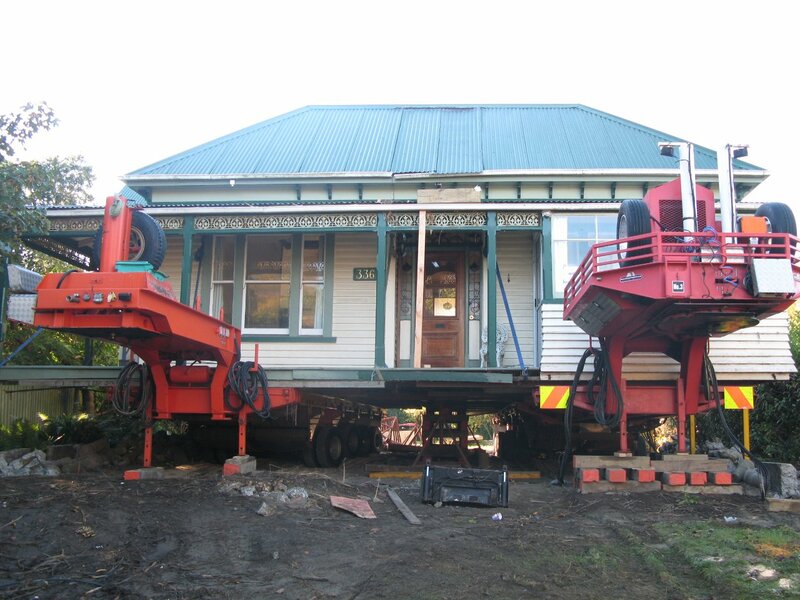 Today's the day that our riverside house leaves the river and the Residential Redzone. 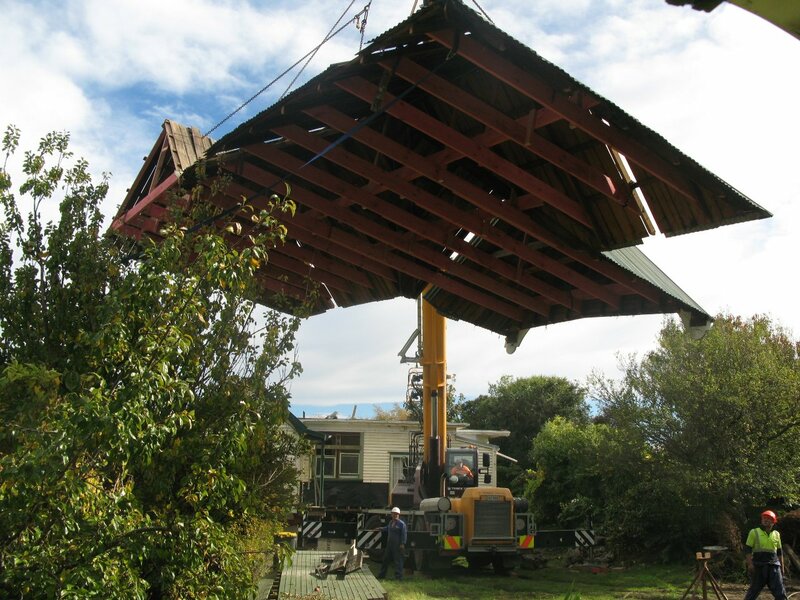 It will be cut into several pieces and trucked to its final destination in an empty paddock in lovely Dunsandel. I'll be live-blogging the events of the day (the whole exercise will take at least four days). You can read the latest update by clicking here. 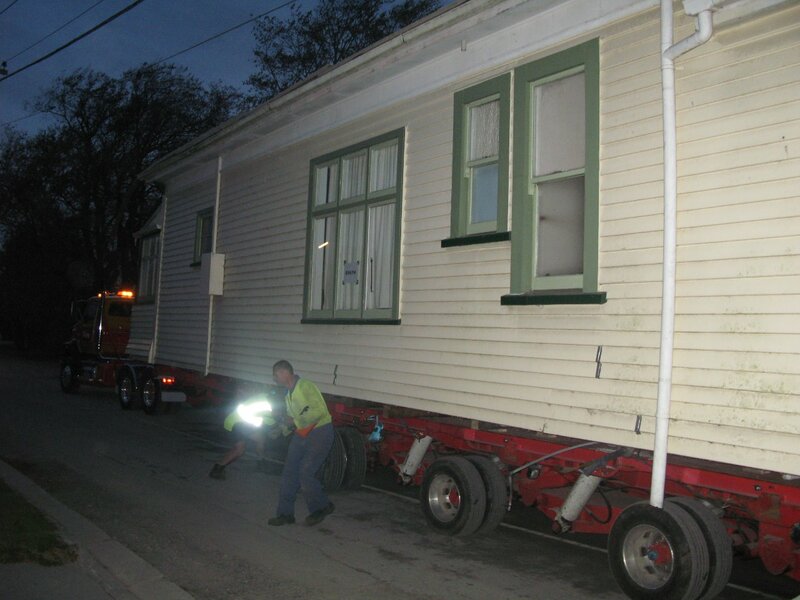 08:00: Here's our house resting on two trailers as at 8 am this morning. 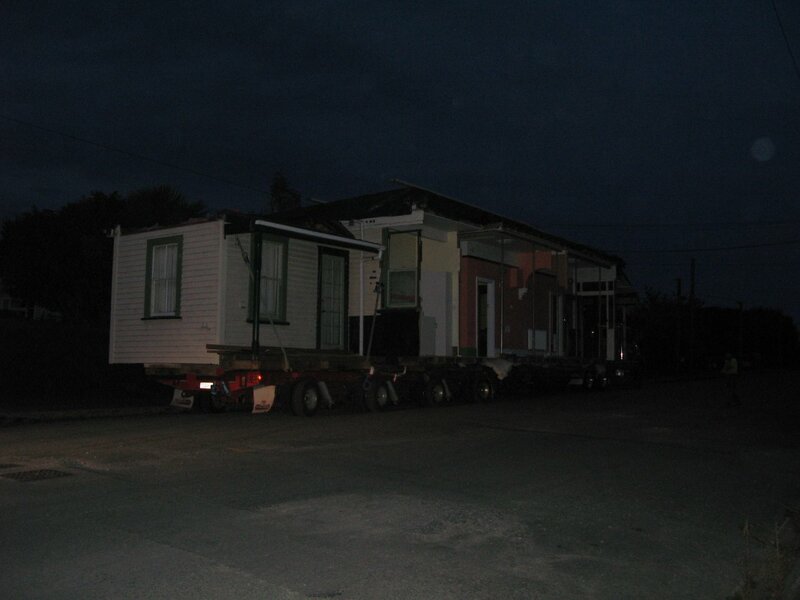 The plan is to crane off the roof, separate the house, hitch the trailers to trucks, tow the house from the section, park it beside the road, and then drive it to Dunsandel at midnight. What could possibly go wrong? Above: Awaiting major surgery and a long voyage. 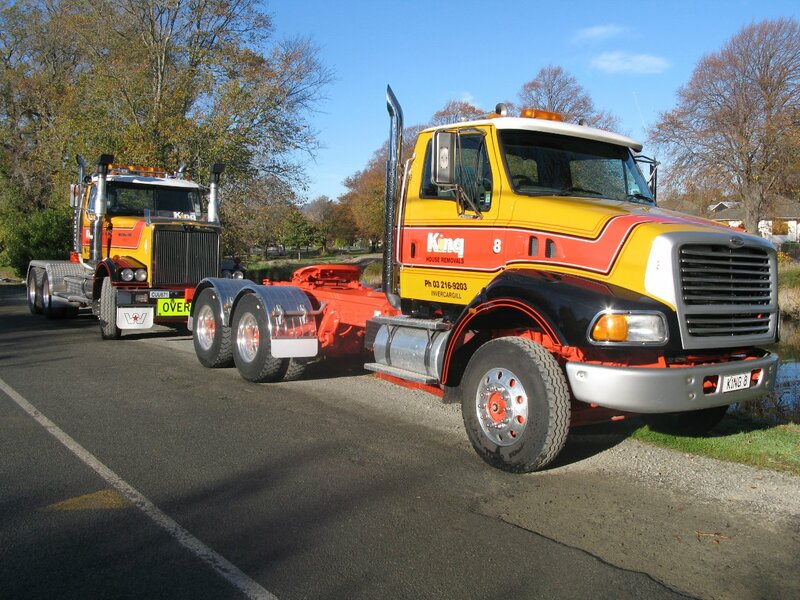 Above: The towing trucks from King House Removals arrive. Above: I have no idea what this truck is doing. 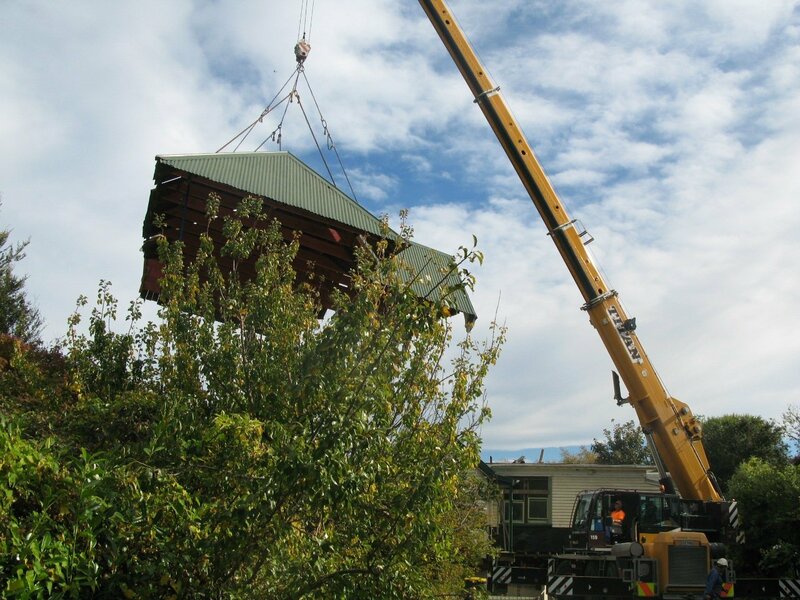 10:06: Grant King from King House Removals detaches the roof ready to crane off. Above: You don't see many managers getting as hands-on as this. 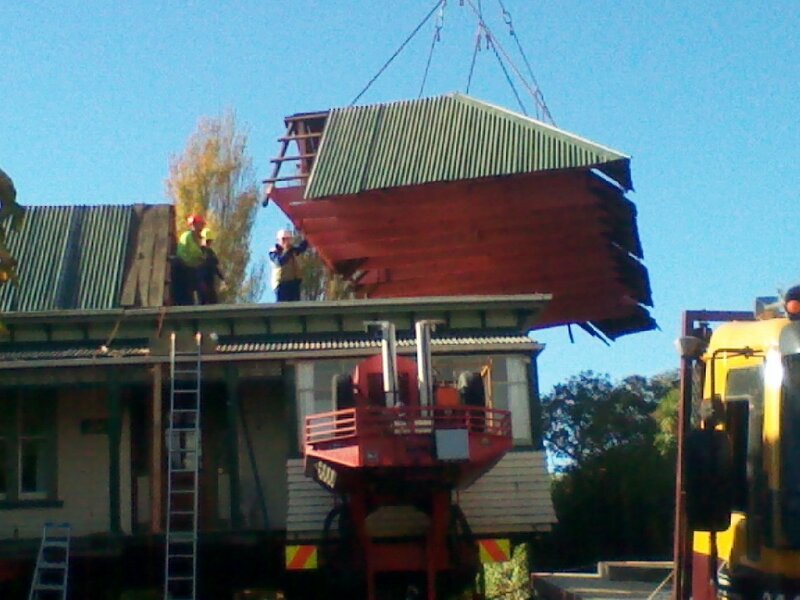 Above: The right-half of the roof is craned off. 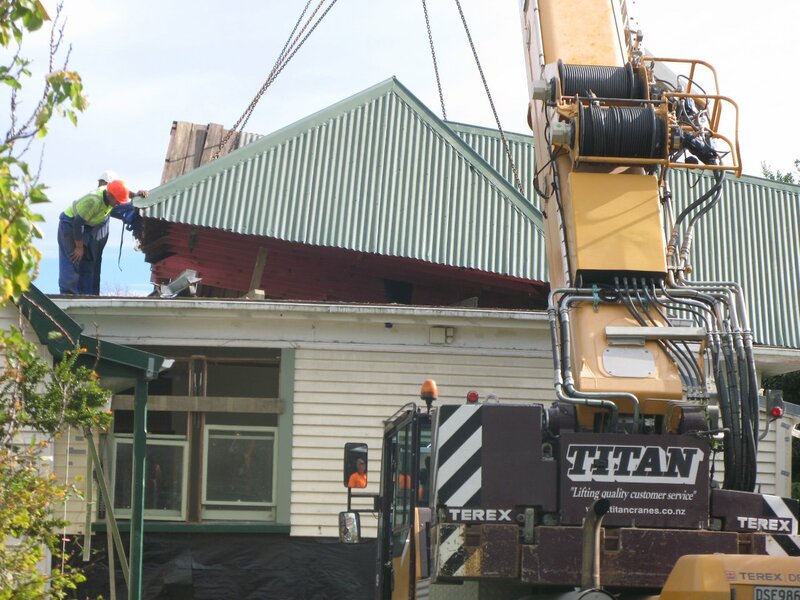 Above: Roof resting temporarily on ground to be shifted once house is at Dunsandel. 11:55: Lunch from Piko Wholefood -- how we'll miss them when we leave Avonside. 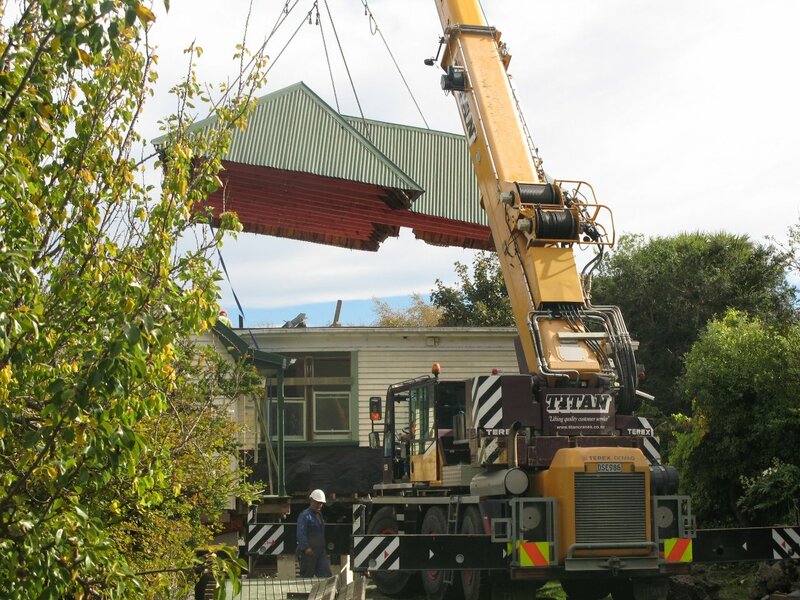 12:00: The remainder of the roof parts company with the house, and goes to a temporary home in our back garden. 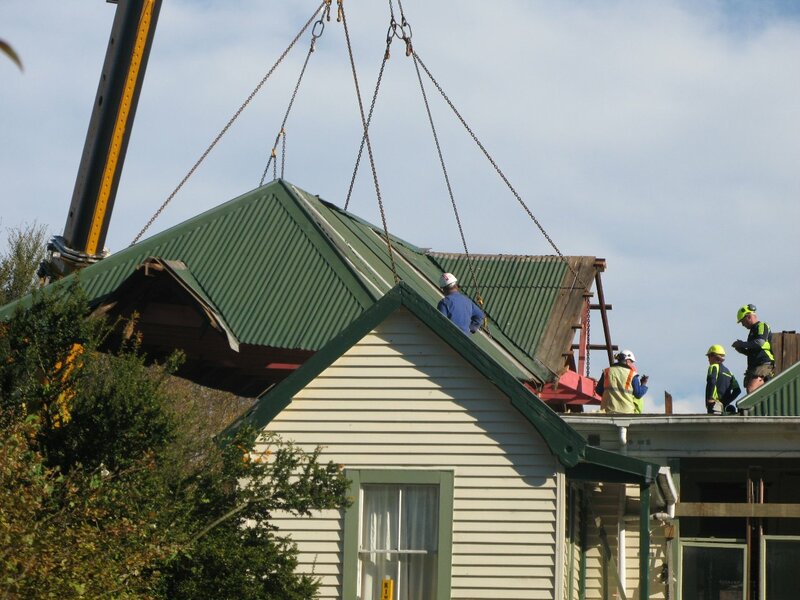 Above: Roof beginning to lift. 17:00: Dont worry -- there have been no disasters! We're on hold while the laundry roof is removed. 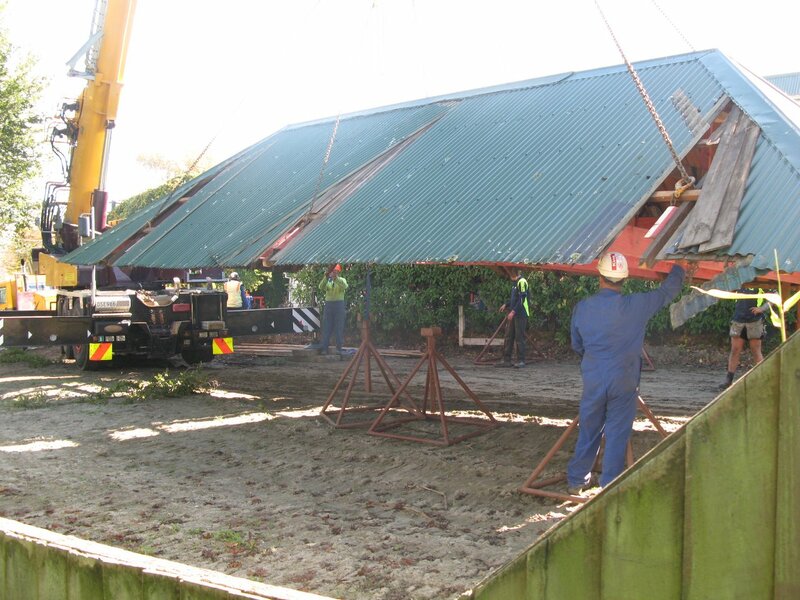 This is a rather small roof (although apparently very tightly attached) and it was thought that it would go underneath the electricity lines. But now it appears that it doesn't. The house shifting is now expected to start around 6 pm. 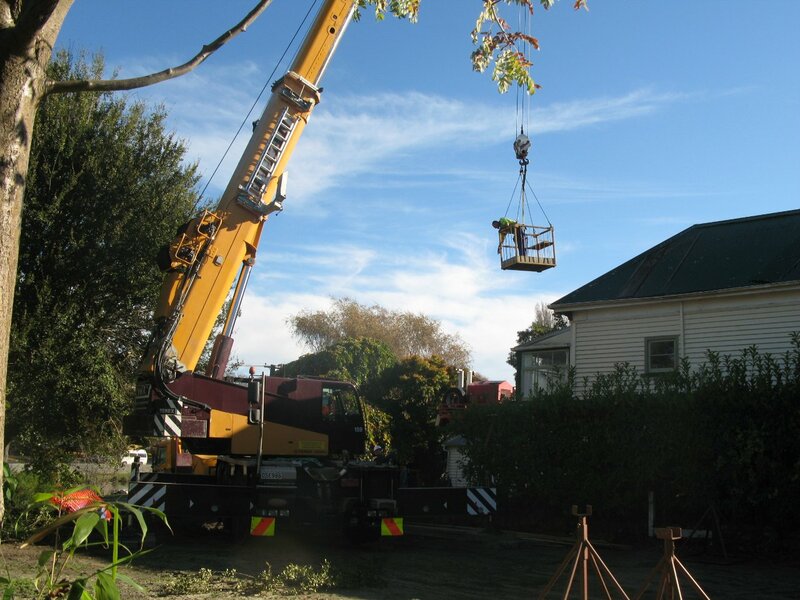 Above: All ready to go out, but too tall to leave the property. 17:05: Sushi for dinner. Yum. 19:00: The right-hand half of the house has just left the section -- filmed by One News/Close Up. 19:01: Wow -- that was close! 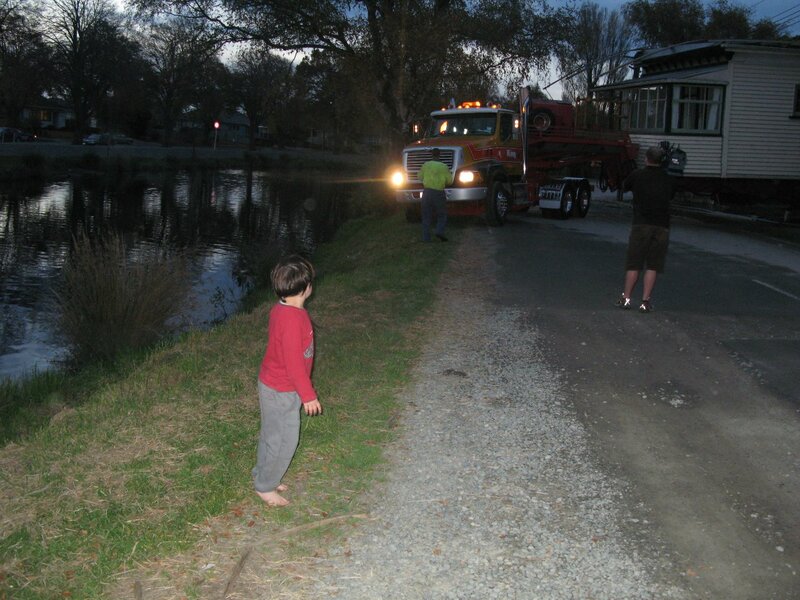 The truck ended up within a hair's breadth of going into the river. 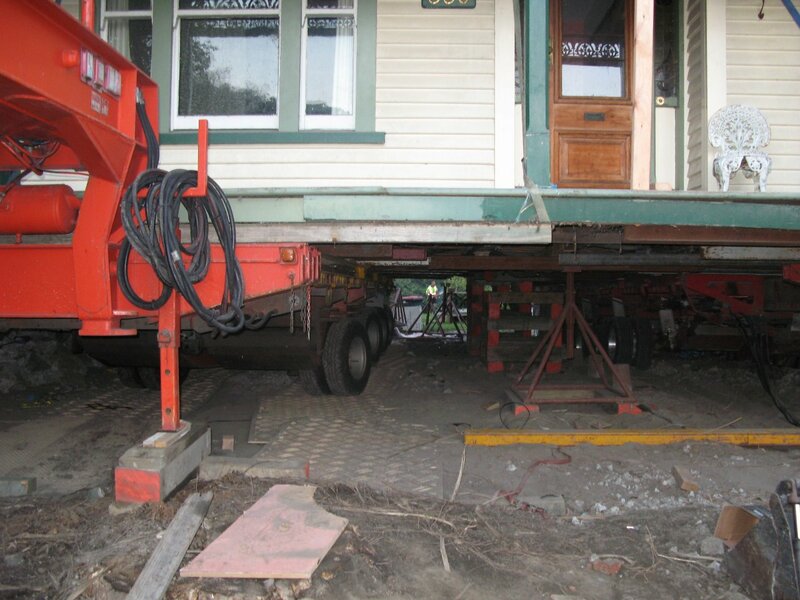 Some superb driving skills as the trailer is reversed back onto the section for another try. A bystander claims that she's still suffering heart palpitations as a consequence of just how close it was. Above: This photo really doesn't do justice to an alarming few seconds. 19:04: Safely off the section now. I'm amazed at the skills of the driving team -- the trailer has eight drivable wheels in addition to the regular front wheels of the truck. Extreme co-ordination is required. Above: We can all start breathing again. 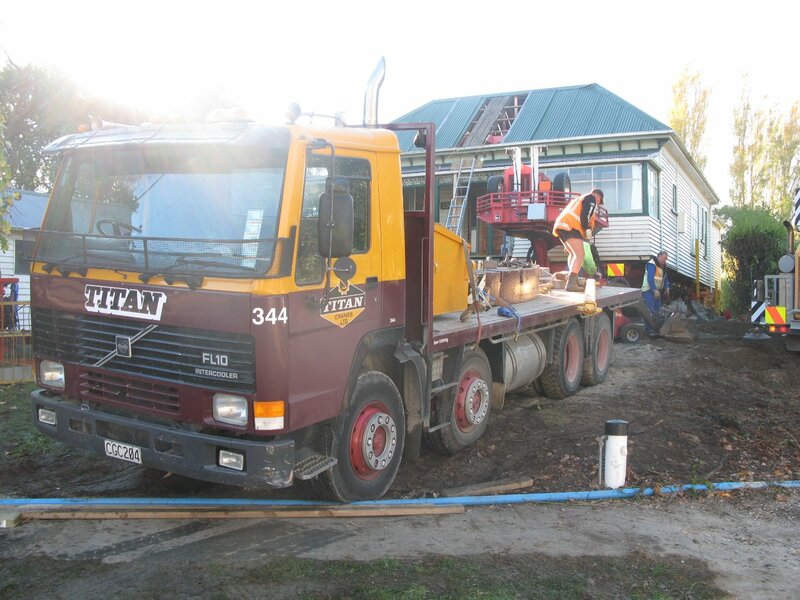 Above: The truck (and house) crawl along the road. 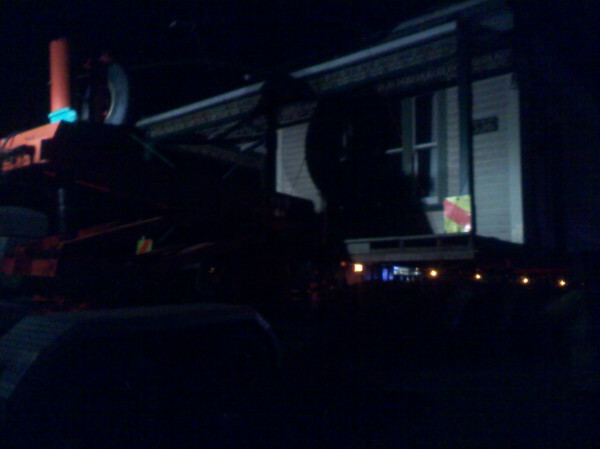 Above: A view from the other side of the truck (and house). Above: It's incredibly disconcerting to see our (crappy) kitchen driving down the road. Very, very strange. Above: Waiting for 10 pm and the long drive to Dunsandel. 18:03: Oh joy -- about to hitch a ride in the cab of the truck! All my transport-oriented dreams have now come true. Slightly antisocial to take my laptop, so I'm going to be tweeting further updates on Jennifer's Twitter account at @jbhay. The convoy hits the road at 10 pm. 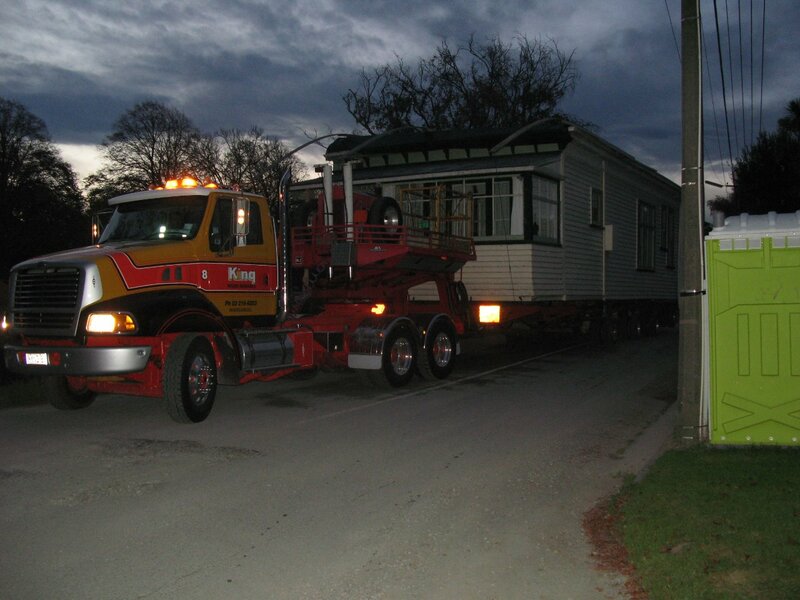 We completed two trips taking the two halves of the house (minus roofs) from Christchurch to Dunsandel. 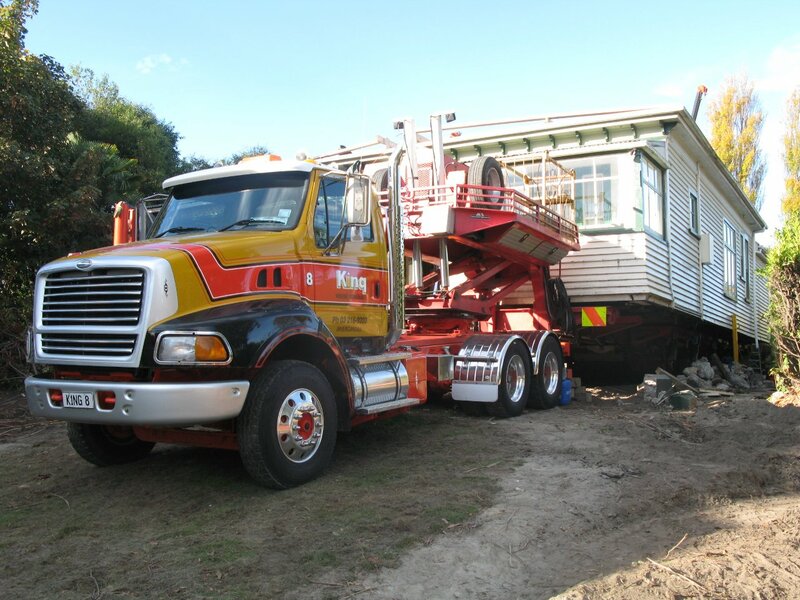 Travelling along with us were four pilot vehicles; the two vehicles adjacent to the house (front and back) calling out instructions to the truck driver via radio link. 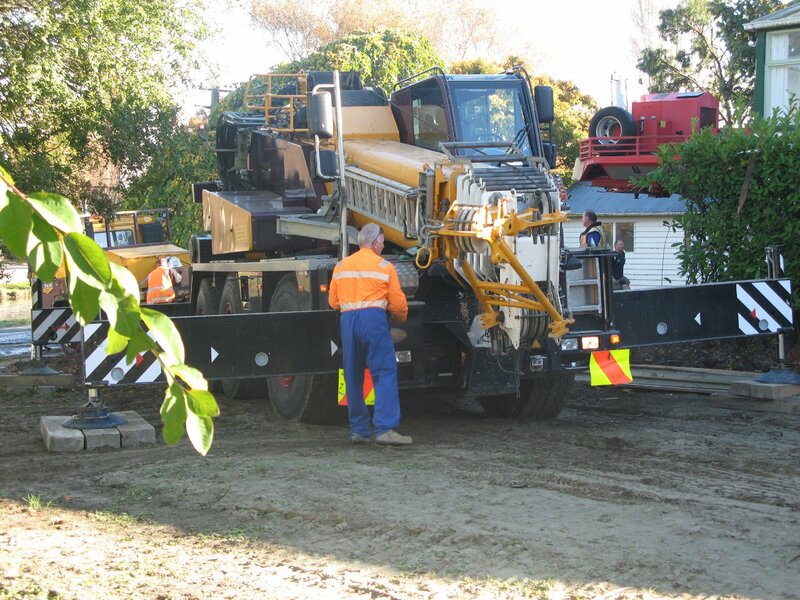 I was astonished by the difficulty of the task: ducking under power lines and overhead traffic lights; incredibly tricky manoeuvres to avoid trees; weaving through roadworks and undersized roundabouts. The skill of the drivers was breathtaking. The convoy reached an terror-inducing 80 km/h down Highway 1. Quite amazing how quickly the oncoming traffic pulls over when they see a house barrelling down the road towards them at that speed. 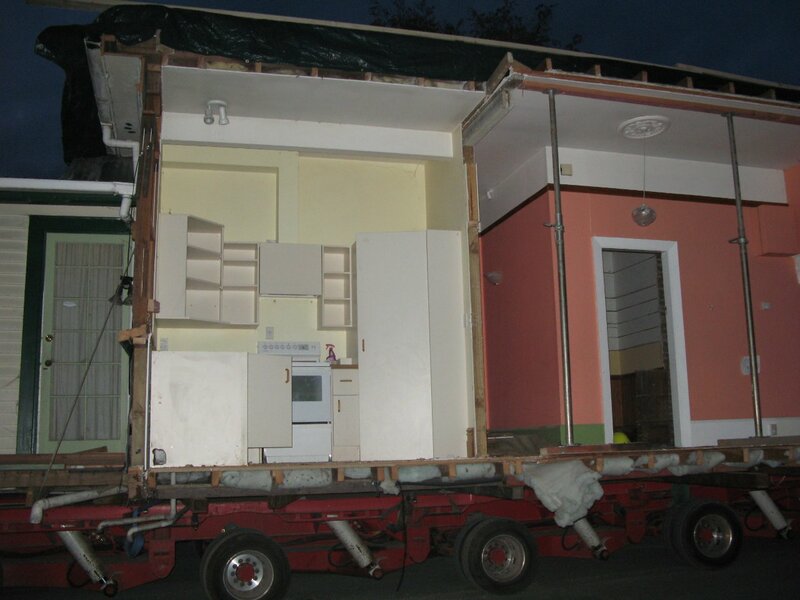 The whole process was carried out amazingly quickly; I was home and in bed just after 4 am. I must say that I've thoroughly enjoyed the trips -- well worth the $80,000 plus. I'm half-tempted to always travel with a convoy of pilot vehicles from now on. They add a real sense of drama to any occasion, and would certainly liven up those otherwise mundane journeys to the corner dairy for a spare roll of toilet paper. 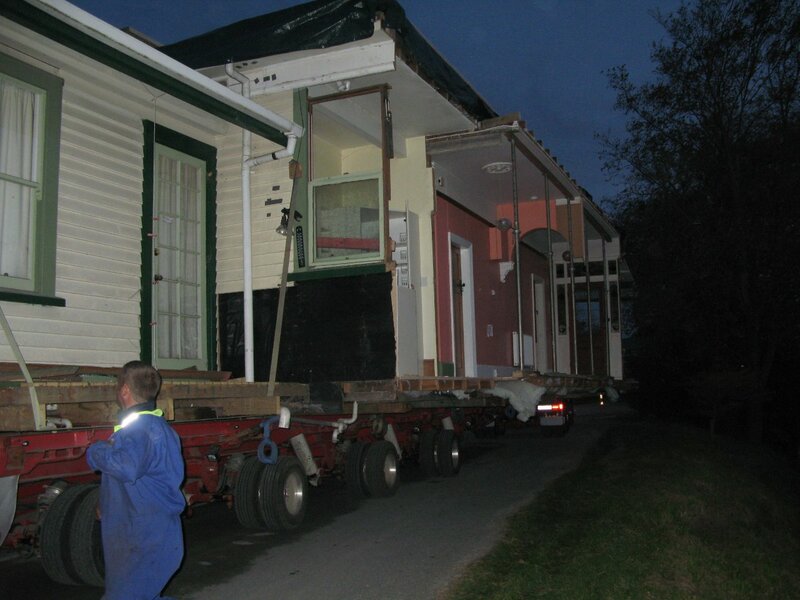 Above: The second half of the house being jockeyed into position on the section in Dunsandel. DAY 2, 08:15: Absolutely hosing down with rain in Christchurch. I'm kidding myself that it'll be dry in Dunsandel. Wonder if any of those tarpaulins came loose during transportation?